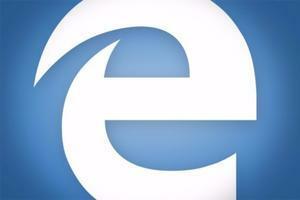 It's 'dramatically improved' in memory management, beats IE 7, brags chief engineer. Firefox 3.0's memory consumption is "dramatically improved," claimed Mozilla's chief engineer, because developers have aggressively attacked the open-source browser's notorious memory "leaks." "We've been working on memory [leaks] for years," said Mike Schroepfer, Mozilla's vice president of engineering. "But it really started to come together in the last six months." Another milestone, however, might have been three months ago, when a member of the Mozilla board of directors said attention had to be paid to Firefox's memory allocation if the browser was going to compete in the RAM-tight mobile market. No matter the reason or the timing, Mozilla claims progress on the memory front. In its release notes, the company trumpeted the fact that the just-released Beta 3 plugged more than 350 leaks, with over 50 stopped in the last eight weeks alone. "We've made a lot of progress," said Schroepfer. "Our memory usage is significantly improved, and dramatically better than [Microsoft's] Internet Explorer 7." But the work's not finished. "Most of the big memory issues are resolved, and we're seeing some pretty good numbers [on memory consumption], but some additional [work] is one reason why we felt we needed Beta 4." In the run-up to releasing Beta 4, Mozilla acknowledged that it would take the time to do at least one more beta build. According to Schroepfer, Beta 4's code freeze date -- when all work stops in preparation for the build to enter final testing before release -- has been set as Feb. 26. "It looks pretty good" for a March delivery of the next beta, he added. 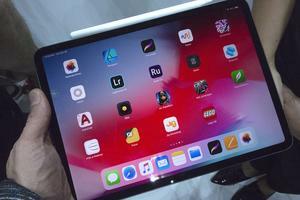 Schroepfer, however, declined to set a release date for the final version of Firefox, saying only that it would ship some time during the first half of the year. Firefox has been roundly criticized for years for leaking memory. The longer Firefox runs and the more pages it opens, the larger its appetite for memory, according to critics. At some point, the load becomes big enough to degrade overall performance of the computer, or in some cases, lock the browser. Closing tabs doesn't reclaim the memory; only shutting Firefox down and restarting does. "Users will see a dramatic difference between Firefox 3.0 and 2.0," Schroepfer said. Firefox 3.0 Beta 3 can be downloaded for Windows, Mac OS X and Linux in 32 languages from Mozilla's site.